What is Australia’s best outback pub? 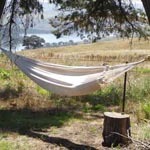 Part 2 of the best and ‘didn’t quite live up to expectations’ of my last trip. 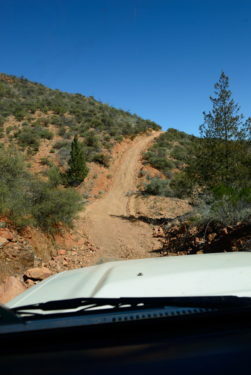 This time tourist experiences and outback roads. This is a tough one – it’s a toss up between the Ridgetop Tour and the Star Trails tour, both at Arkaroola. Purely based on value for money, I’m going to pick the Star Trails tour. For only $45 I got to stare into deep deep space, see the rings of Saturn close up, and look at craters on the moon. What looked like a prick of light to the naked eye became a cluster of stars and colour through the telescope. All with intelligent and entertaining commentary from Doug, who happily answered all the questions we had without any hint that he’s probably been asked the same thing hundreds, if not thousands, of times. His love for what he was doing really showed, and it infected us all as we looked through the telescope to see some awe inspiring sights. The Ridgetop tour was also excellent, but at $155 might be out of the budget of many people. One thing I really, really wanted to do on this trip was fly over Lake Eyre at sunrise. Being on my own, getting a flight was dependent on somebody else wanting to fly at the same time, or paying for the whole plane. The whole plane was out of my budget, but I wanted to do this so badly I was prepared to wait. There were people who wanted to do the flight, but not at sunrise. So I waited. It only took two days before another two women decided they also wanted to fly at sunrise. With the 3 of us there were enough people for the flight. I was very excited. First of all we took off too late. The sun rose before we got over the lake, so I missed out on what it was I really wanted to see, and that I had waited two days for. We were ready at the appointed time, but the appointed time was too late for us to get sunrise over the lake. Second, it was very hazy, which meant that the view wasn’t clear. Certainly not clear enough to get a decent photo. Third, there wasn’t much water in south Lake Eyre. While the second and third were beyond anybody’s power to change, the first was. After waiting in Marree for two days (not really a problem as it was a nice place) it was very disappointing to not even get the sunrise. At $390 for the flight I was not happy. 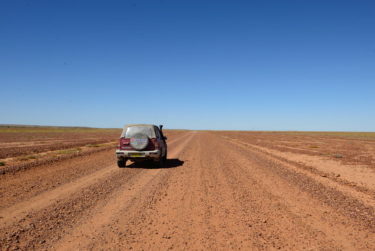 This one is easy – the road from Cordillo Downs to Innamincka. The Cordillo Downs road itself starts at the Birdsville Development Road in Queensland and heads south into South Australia, past Cordillo Downs and the world’s biggest wool shed, then on to Innamincka. 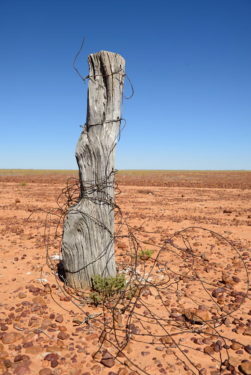 The first part of the road is through the Sturt Stony Desert. Vast, wide open spaces, with red stone where the road and surrounds seem to meld seamlessly together in parts (that’s it in the top photo). But even there, where it would normally be just flat, red, stony ground, it was covered with green and wildflowers. And being South Australia there were ruins aplenty – South Australians really were an optimistic bunch!! But it is the second part of the road, from where it meets the Arrabury Road and heads south to Innamincka, that took my breath away. This part of the road goes through the Innamincka Regional Reserve and that was stunning. Even without the wildflowers it would be stunning. 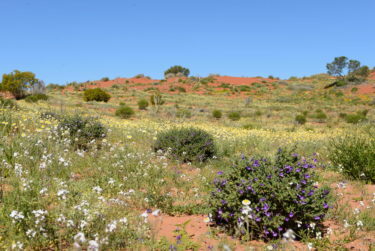 Driving along one section beside red, red, sand dunes that are so typically outback Australia I rounded a curve and was met with a mass of yellow, purple and white wildflowers. I gasped – literally – and pulled over while I took in the scene. The mass of colour against the red of the sand dunes was beyond beautiful. I couldn’t believe that other people just drove straight past it. I got out of the car to walk around, and take photos of course. I could have just sat there just drinking in the beauty for hours. Except for the flies! Actually, I mean that literally. I wanted to drive the Warburton Track but it was closed. As was the Birdsville Inside Track, the road out to Coongie Lakes and parts of the Old Strzelecki. I think I only just made it into Innamincka before the Cooper came down! That’s how it goes in the outback. I guess I’ll just have to do those roads next time.